At work, we were required to set a personal and professional goal for the school year that will be tracked. I meet with my accountability partner once a month to review my progress. Of course, my personal goal is craft related. (Big surprise huh?) My goal is to learn one new skill or complete a small project each month between now and May. 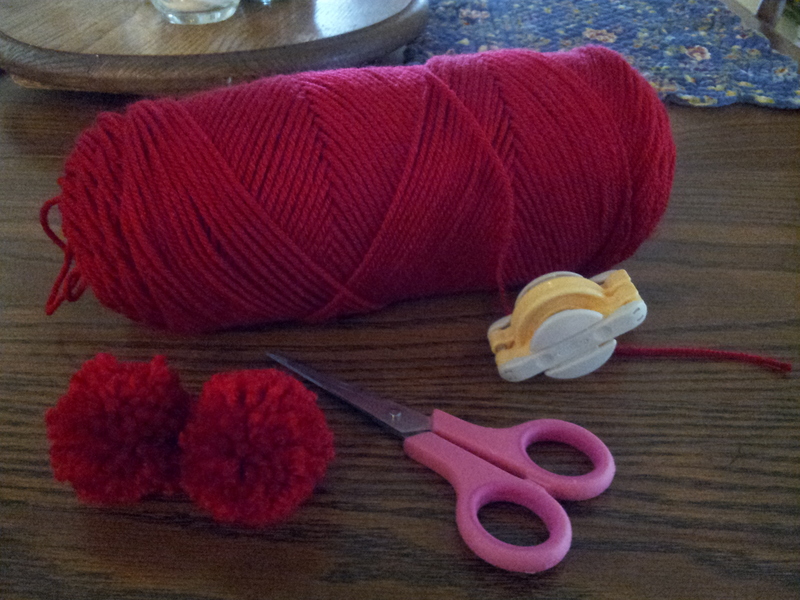 There are various ways to make pom-poms. I happen to score this small Clover pom pom maker on a recent trip to Tuesday Morning. The packaged instructions aren’t that great. Here’s a video that I found helpful to explain the methodology. Personally, I like the fullness of the three wrap pom-pom the best with the thin acrylic yarn I used. Chunky or eyelash yarns might only require 2 wraps to get the desired amount of fullness. I can already see this as an activity for my Crafty STEM club members. We will experiment with different methods for making pom poms including using your hand, a dinner fork and a DIY cardboard template/cardboard donuts and of course, a commercially available unit. Does technology really make it easier? 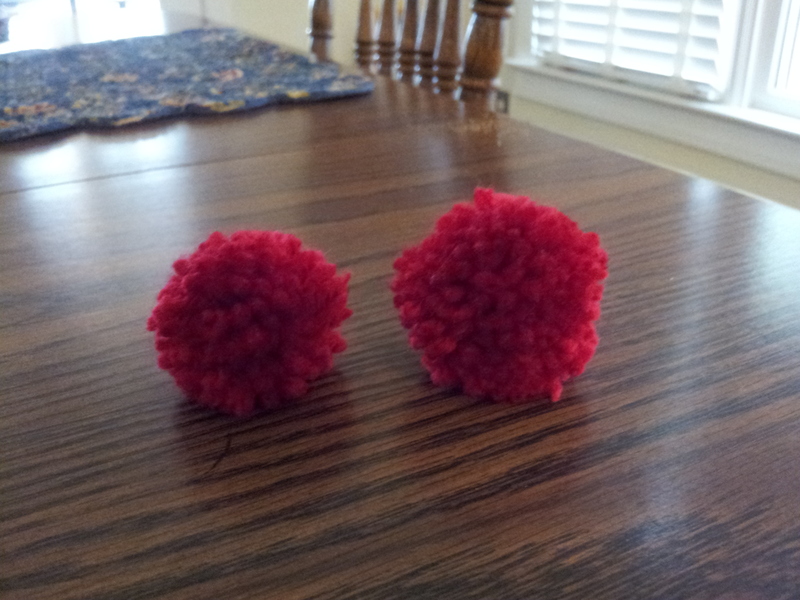 Short answer: yes, but you don’t have to buy the commercial gizmos to make fabulous pom-poms! Stay tuned!